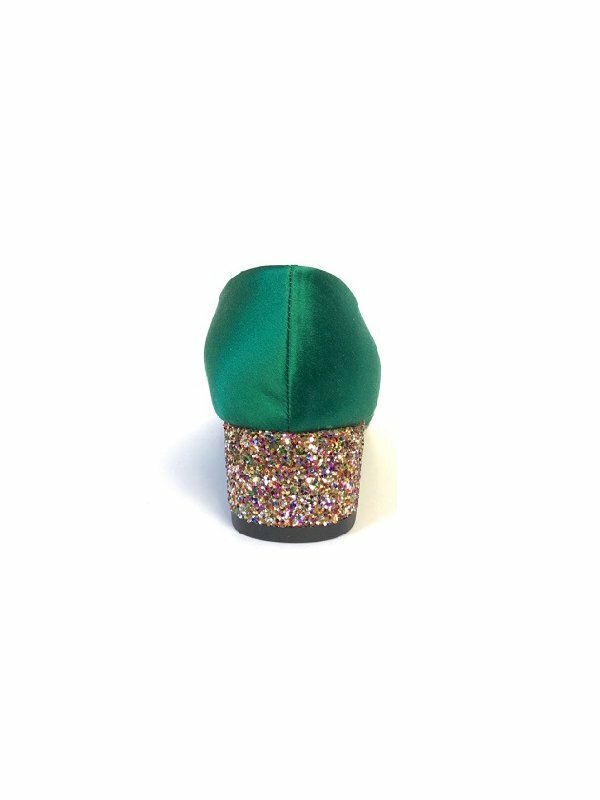 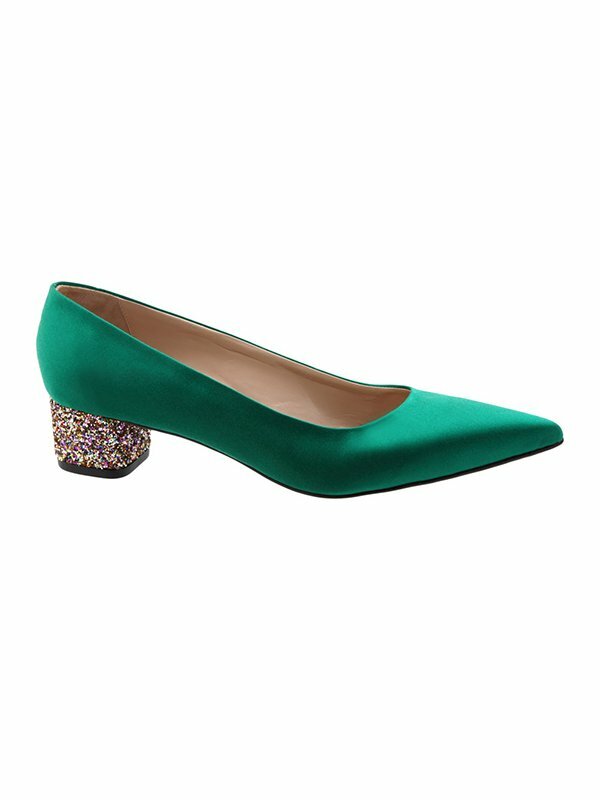 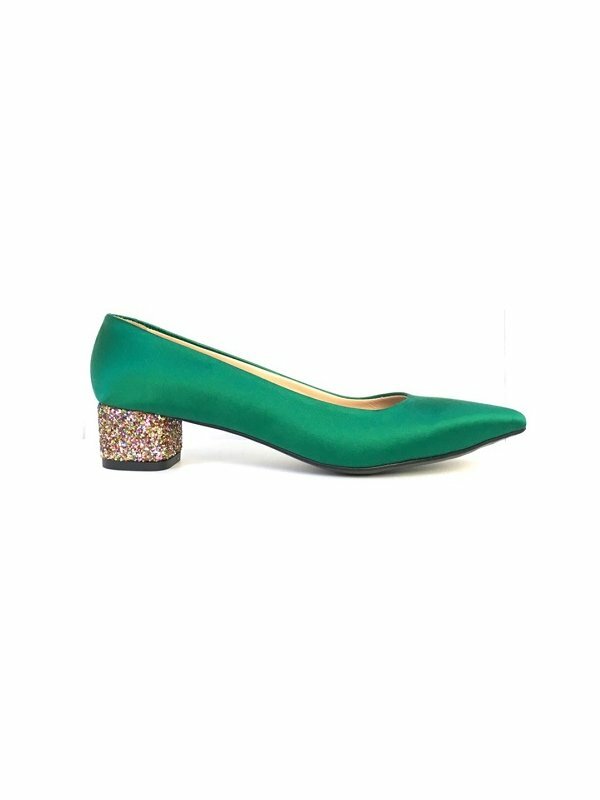 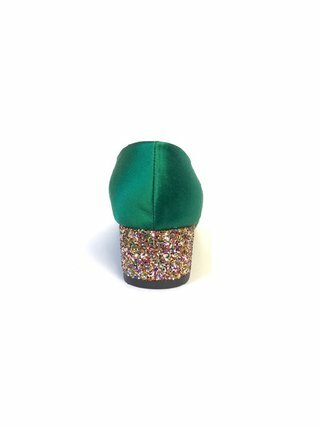 Becca emerald silk satin glitter heel shoe with glitter-covered demi heel. Add a little colour and sparkle to your look with our stylish pointy-toe block heel shoes. 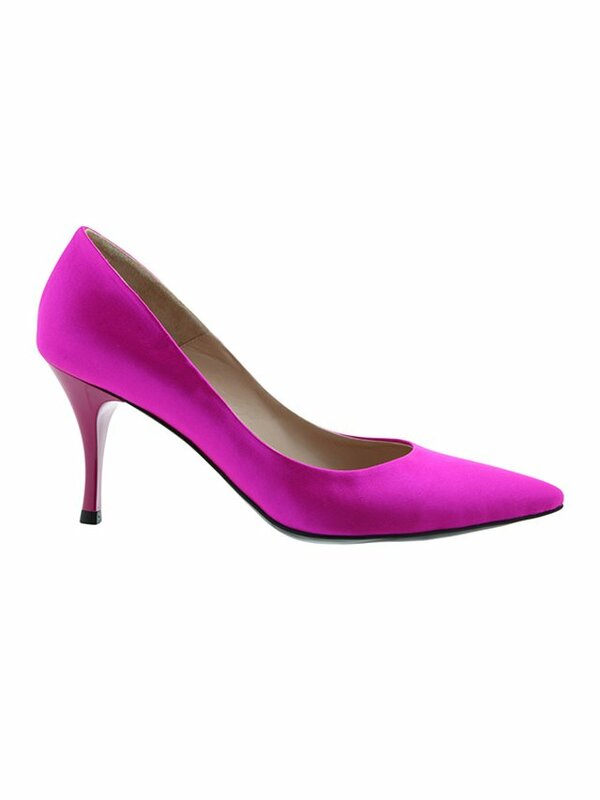 Handmade for comfort and effortless style – it is a colourful and feminine pointy-toe shoe for any woman. 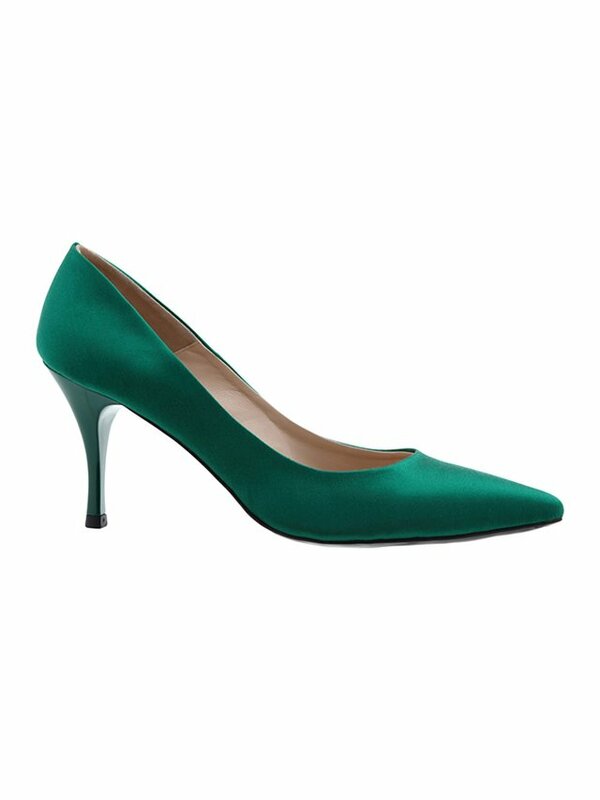 Achieve perfect balance between alluring and polished with these silk satin shoes. 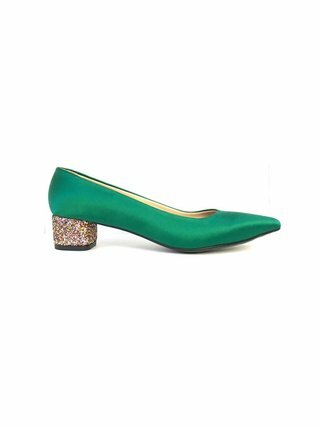 Kept sophisticated with a pointed toe and glitter heel with a soft nappa leather lining – for a look of grown-up glam. 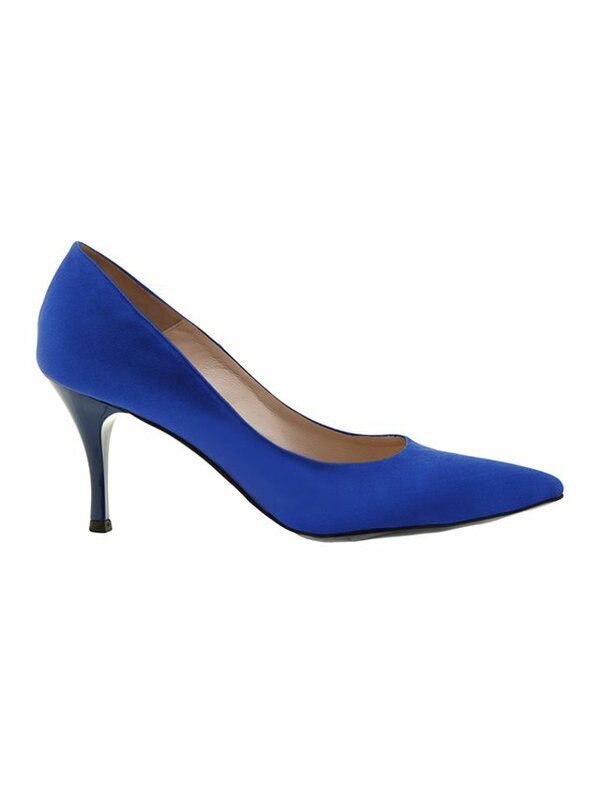 Wear them from the office to dinner dates with a fervently femme skirt.